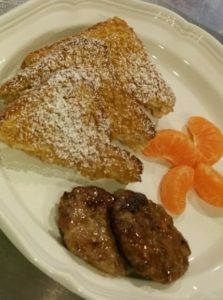 One of our signature accompaniments for breakfast at the Inn is our Apple Maple Sausage Patties. This delicious side compliments any sweet or savory dish that we serve. Guests rave about the flavor and request them on return visits. This is an easy recipe that will quickly become a family favorite! Heat the oven to 425°F. Cover a cookie sheet with foil. Peel, core, and grate one large apple. 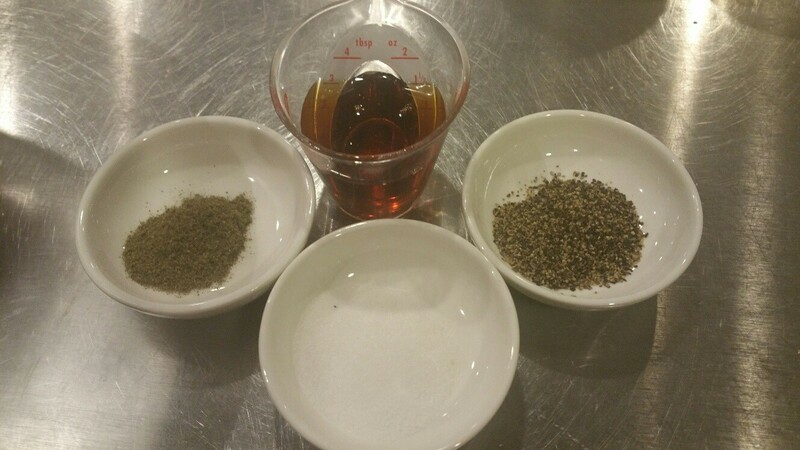 In a large mixing bowl combine two pounds of ground sausage, grated apple, salt, pepper, sage and syrup. Using clean hands, or a large spoon, mix well to incorporate. A patty press is the best! We use a ¼ cup measuring cup to get the right amount of sausage to place in our two-patty sausage press. 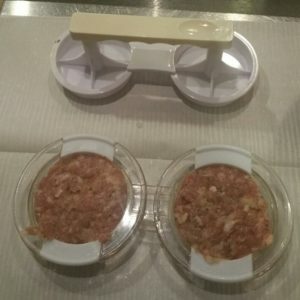 If you don’t have a sausage press, don’t worry just roll into balls and then you can pat them into small patties – not too big, not too small. Place sausage patties evenly across sheet. Bake sausage for 15 minutes. Flip patties over and bake another 5 – 10 minutes until golden brown. *We use tart apples from Distillery Lane Ciderworks but a nice Granny Smith works well. We also purchase our ground sausage from Crestview Meats in Martinsburg. Just make sure you use lean, quality meat, this is not the time to try to save a few cents. Trust us, it makes a difference! Perfect round patties ready to go in the freezer. 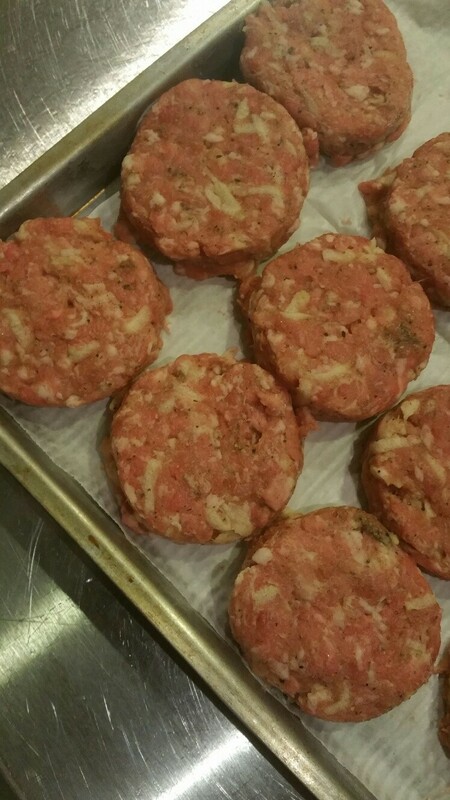 – Place sausage patties on parchment/wax paper and freeze, then store in a plastic bag in the freezer. This allows you to remove and bake only what you need. – Pull out sausages the night before and place in refrigerator. – We bake the patties instead of frying; this allows the meat to bake in the naturally blended juices of the meat, apple and maple syrup.